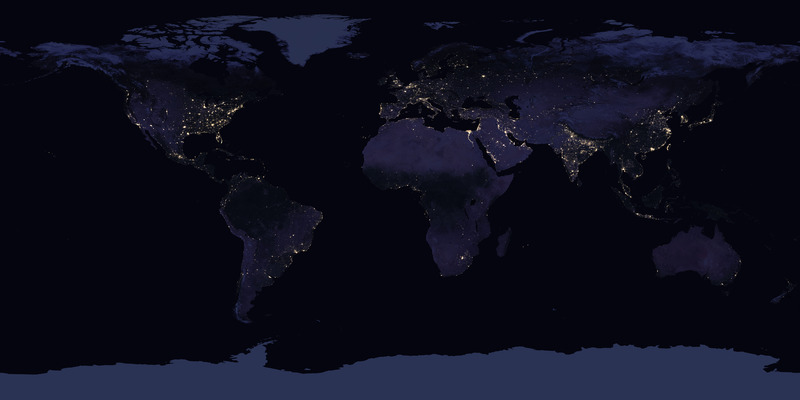 NASA has released an updated composite picture of how the Earth looks at night. Now, it is never night at the same time across the globe, but if it would be, this is how it would look. This nighttime look at our home planet, dubbed the Black Marble, provides researchers with a unique perspective of human activities around the globe. Black Marble was last updated in 2012 and there have been some changes since then, especially in India. Click here to view an extremely large version (8 MB, JPEG, 13500×6750) of Black Marble.